Two thousand thirteen marks the 100th anniversary of the end of Henry Flagler's amazing life, and thus it is the ideal year to reflect on the legacy of Flagler, the person who literally invented modern Florida by laying the foundation for an economy that now ranks third among U.S. states and is larger than 90% of the countries on earth. The Flagler Museum's Fall Exhibition, Man of the Century: The Incomparable Legacy of Henry Morrison Flagler illustrates the stunning impact that Flagler had upon American business and Florida. Man of the Century examines his accomplishments in the areas of business, development, and philanthropy through photographs, maps, documents, and artifacts. By the time of his death in 1913, Henry Flagler had accumulated almost unimaginable wealth from his business ventures. Flagler's estate was worth an estimated $100 million dollars, equivalent to more than $12.5 billion dollars today. Like other wealthy Gilded Age captains of industry and commerce, Flagler understood his obligation to society to distribute his wealth in such a way that created opportunities for others. According to Flagler, "The hardest problem a man has is how to help people. The desire to help others comes when a man has more than enough for his own needs. I have come to the conclusion that the best way to help others is to help them help themselves." Henry Flagler's contributions provided land for dozens of schools, churches, parks, courthouses, libraries, hospitals, and cemeteries throughout Florida, especially in Palm Beach County. Photographs, artifacts, and archival documents in the exhibition document Flagler's numerous philanthropic gestures. Even after his death, Flagler's wealth continued to help Florida communities. In fact, a century after Henry Flagler's death, there is more than one billion dollars of his fortune invested in endowments or trusts that support more than 50 million dollars in educational, charitable, and cultural programs nationwide each year. Man of the Century: The Incomparable Legacy of Henry Morrison Flagler was organized by the Henry Morrison Flagler Museum, from its unparalleled collections. Join exhibition curator Tracy Kamerer for a tour of the Flagler Museum’s Fall Exhibition, Man of the Century: The Incomparable Legacy of Henry Morrison Flagler. Ms. Kamerer will explore the stunning impact that Flagler had upon Florida, examining his work in the areas of industry, development, and philanthropy through photographs, maps, documents, and artifacts. 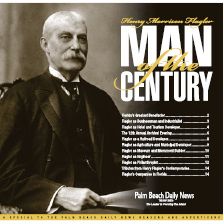 Click the image above to read the digital version of Man of the Century, a Palm Beach Daily News newspaper tabloid. In conjunction with the Exhibition, the Museum invites fourth through eighth grade children to a special gallery tour with the Museum's Education Director followed by a hands-on learning activity. Children will be provided with decorative materials to craft a gold telegram, or commemorative medallion, as seen in the Exhibition. 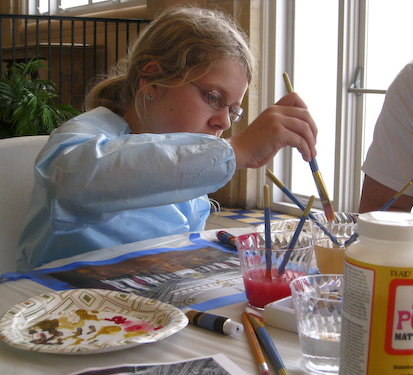 This event is sponsored by PNC and the Sharkey Family Charitable Foundation. Whitehall, Henry Flagler’s magnificent seasonal home in Palm Beach, photographed shortly after it was completed in 1902. 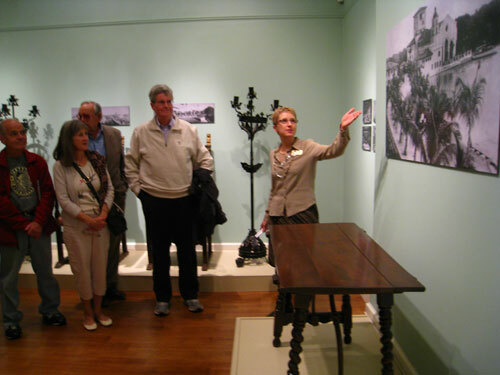 Today the restored Whitehall is open to the public as the Flagler Museum. 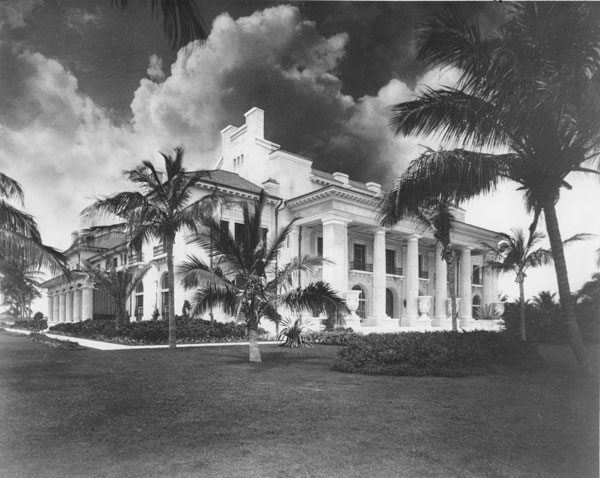 Henry Flagler’s Hotel Royal Poinciana in Palm Beach, which opened in 1894, soon became the world’s largest hotel. This 1901 photograph depicts Henry Flagler’s second hotel in Palm Beach, originally named the Palm Beach Inn, which opened in 1896. Enlarged in 1901 and renamed The Breakers Hotel in recognition of its beachfront location, the wooden hotel was destroyed by fire in 1903. After the second structure burned in 1925, the third Breakers Hotel opened the following year, and is the last remaining hotel of the Flagler System. 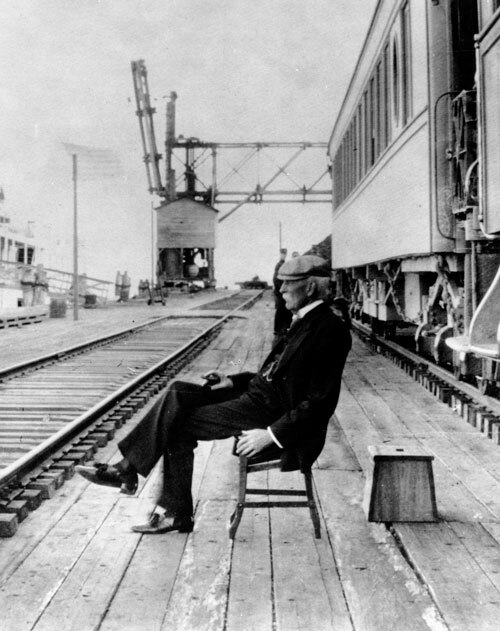 This rare candid photograph depicts Henry Morrison Flagler at the opening of the Over-Sea Railroad to Knight’s Key in January, 1908. Knight’s Key was the southern terminus for the Florida East Coast Railway until the 1912 opening of the Over-Sea Railroad, the largest engineering project ever undertaken by a private individual. An exact replica of an elaborate gold vermeil display box made by Tiffany & Co., which holds a copy of the solid gold telegram sent to Henry Flagler to announce the opening of the Over-Sea Railroad. The original box and telegram were presented to Flagler by his railroad employees on 22 January, 1912. Replica of the solid gold telegram sent to Henry Flagler to announce the opening of the Over-Sea Railroad. The original telegram and custom display box were presented to Flagler by his railroad employees on 22 January, 1912. Industrialist, developer, and philanthropist Henry Morrison Flagler, photographed on April 4, 1907. The first of Henry Flagler’s luxury resorts in Florida, The Hotel Ponce de Leon in St. Augustine opened in 1888. The original hotel building is now home to Flagler College, founded in 1968. An antique postcard depicting the first passenger train on Long Key Viaduct heading to Knight’s Key in January, 1908. Knight’s Key was the southern terminus for the Florida East Coast Railway until the 1912 opening of the Over-Sea Railroad, the largest engineering project ever undertaken by a private individual. The Memorial Presbyterian Church in St. Augustine, Florida, donated by Henry Flagler and dedicated in 1890 in memory of Flagler’s daughter, Jennie Louise Flagler Benedict, who died in childbirth. The church contains a mausoleum for Flagler, his first wife Mary Harkness, their daughter Jennie, and her infant daughter Marjorie.